Whether you intend promoting your products or services indoors or outdoors, Round stickers will serve your purpose one hundred percent. What makes it so versatile is that stick to most surfaces such as wood, glass, paper, metal, and cardboard. Reputed sticker printers like e Stickers make all kinds of artwork and produces the end product in all shapes and sizes. They offer some of the lowest prices and work around the clock to get your stickers out on time. The thing is that top quality sticker printers would print round stickers on durable, thick vinyl materials that has a glossy finish. How Versatile are Round Labels & Stickers? There are various options open to you. Think of promoting your business using your logo, kids parties, scrapbooking or personalized stickers. Heck, you could stick them on gifts, your laptop or use them as your business logo to create all kinds of guerrilla marketing campaigns. With e Stickers’ team you can use your own design or photography to get your round stickers printed. There is so much you can do with regards to the customization options open to you. The beauty of going with top sticker printer companies is that there all sorts of templates available that you can make your selection from. As an example, you can put different texts and images on each one. You’ll be glad you did as Round stickers prove to be the fastest sticker to produce at the best quality. Also, sticker printing machines cut these stickers quickly and efficiently, ensuring satisfactory results every time. 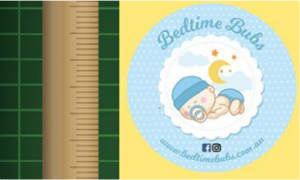 Stickers produced come in easy roll form, which is great for storage purposes and ease of use. E Stickers is proud to offer superior quality finishes on all their stickers at the best prices with some of the fastest turnaround times online. Give it a try today! When your branding message needs to be hit home, nothing beats good quality Vinyl stickers. You are bound to hit the nail on the head every time. Sticker printers like e Stickers make use of full colour decals to help you utilize various colour schemes to be used for bold graphics to ensure a better finish. In addition, they add UV coating for extra-long lasting protection. There are many ways to realize savings when running an advertising campaign. Utilising vinyl decals prove to be extremely cost effective to do. Not only are the materials used durable by nature, but there very little worries about replacing these repeatedly once used. Here is one tip you would do well to put into practice. Ensure you get rid of any dust as it will cause a problem for your vinyl stickers in that it will form bubbles that are often hard to get. This may reduce the effectiveness of the sticker itself. In order to prepare the vinyl background, you should use a wet wipe or cloth to get rid of any dust particles. After that, the surface that will host the sticker, needs to be dry before applying the sticker. The primary reason why most business owners utilise vinyl lettering to promote their business with is the versatility of it. Buses, trucks and cars serve as perfect tools for attracting attention to what you have to offer. This has been the experience of reputed sticker printer companies like e Stickers with their clients. Their customers experienced huge profit margins though applying their advertising material in the form of vinyl decals of various shapes and sizes. Long after the particular vehicle has passed, the customers would still remember the message or phone number. It must be noted that the ultimate crux of printed material in any form is to convey a marketing message to the end user as well as to create an awareness about the brand. Unlike other forms of advertising such as flyers and brochures, stickers are much cheaper. For the perfect stickers contact e Stickers on 1300 97 98 99 now! Creating your own clear decals, labels or stickers has never been easier. Besides, one need to find a way to stand out in today’s competitive market place. Using Clear stickers to create a hype about your offer would be a wise decision. Why not make use of clear decals to promote your next big event? You can make use of front or back facing adhesives to stick to packaging, signage or glass. There are virtually no limit as to what you can do to promote your latest offer using clear decals. You can stick them around the office, on cars or use them just for fun. If you are in a band, you can always use Clear stickers to promote your new album. On the other hand, for an easier way of promoting your brand, clear bumper stickers or giveaways sure comes in handy. The best way to create a buzz is through sticker printing companies like e Stickers. Reasons for doing so would be that they make use of high quality glossy vinyl materials that are super strong. You are spoilt for choice in that you could turn them into just about any shape, such as round, heart shaped or die-cut. When the time comes to remove these, you do not need to worry about leaving a sticky residue behind. Create custom decals that you can handout to your customers so they can become advocates for your brand. How about laptop or cellphone stickers? What a way to turn your tech gear into mini billboards to the extent that others get to talk about your brand, kicking your promotional efforts into high gear. Clear bumper decals are just as effective in spreading the message about your product or service. When you have a storefront it might be an idea to draw attention to your business hours or advertise that you offer some free services like gift wrapping using clear decals on your windows. At e Stickers they provide high quality and versatile options to match all your sticker needs. People often give the gift of love. Candles are certainly no exception to the rule. This is where e Stickers can help you promote you brand like no other with candle stickers. You get to choose from a large variety of shapes and sizes as well as glossy or matt materials to match the colours of your candles. Once you’ve picked the right sticker size, material and perfect shape for your candles, you simply have to place your order online with your preferred artwork uploaded, complete your contact details and provide your shipping address. It is as simple as that. You’ve put your heart and soul into getting your artwork ready for your candles. The team at e Stickers are masters at what they do. They fully understand how important it is for your candles to look the part once on the shelves. After all, your Candle stickers would be the first contact your customers have with your brand. Who knows, various business owners are always on the lookout for personalized gifts this time of the year to present to their clientele. Just imagine what will happen if these same business owners get and impressive response in terms of new business coming their way. You can be sure they will be back for more. With e Stickers you will be able to add your own personal touch to the candle decals in order to create something unforgettable. People are even inclined to use candles with personalized stickers at weddings as a unique way of saying thank you to their guests for attending. E Stickers offer creative design for a wide array of custom made products. You simply have to visit their contact page and submit your requirements. The graphic design team will soon develop your logo, then present you with a prototype for your approval. It sure is the best way to hold the attention of your intended market and trigger sales. E Stickers is Australia’s largest sticker printer. Best of all, they have over 20,000 happy clients. They are always on the lookout to make improvements and come out with something new. Custom candle labels are certainly no exception in this regard, and one of their latest additions. 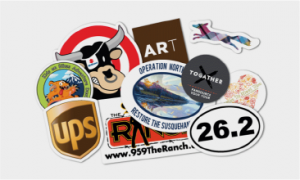 What is more, e Stickers specialize in customization and will make the most of your intended artwork. Why not give them a call on 1300 97 98 99 and order online to get a free quote as long as you order a minimum quantity of 50 stickers. There are countless ways to advertise your brand and make name for yourself. What will most likely come to your mind would be flyers, brochures, business cards, booklets, banners, etc. However, the idea of using die-cut stickers can prove to be one of the friendliest means of advertising your services or products. They are simply efficient and extremely decorative and versatile in terms of where you can use it. Once these are placed on either car bumpers, bags, or anywhere else, they would not easily fade, and offer great brand exposure, which is sure to increase sales. How are Die-cut Stickers Different? You can easily use die-cut stickers outdoors as they are sure to last for three years or longer, and can be applied to any clean, smooth surface. The primary reason for making use of die-cut decals would be to promote your business. Other advantages would be to label your product, which would include absolutely everything, from boats and larger trucks to charter airplanes. All you really need is a smooth surface, your own customization flare and the stickers. Custom vinyl lettering is just perfect for any indoor or outdoor application. In this regard, die-cut stickers are the ideal choice. In a digital sense, die cut decals are great for use as company logos due to the fact that top brass sticker printer companies such as e Stickers incorporate full colour imagery such as portraits, landscape and even complex vector illustrations. After all, they utilise progressive printing technology, make use of non-toxic eco inks to insure their many clients can look forward to the most economical solutions according to specific artwork and full colour graphics that any business owners can be truly proud of. Go ahead and make name for yourself with state-of-the-art stickers today!